After recently writing about solid core audio cable designs, I began listening to various digital audio cables. To dig in, I started by examining the transmission from computer to DAC (digital-to-analog converter) via the Audioquest USB cable line. For this listening test I employed the Antelope Audio Zodiac Platinum DAC with 10m Clock – simply connected to amp and speakers (Lipinski, and Green Mountain Audio). The basis for the Audioquest designs start with solid core copper, then they add silver in varying amounts, a noise dissipation system, and finally a DBS or dielectric bias system. Starting with a generic USB cable I familiarized myself with the sound. To be fair, I listened to several generic type USB cables…not all are created equal, and yes some sound decent too. After establishing the best sounding generic USB cable, I began exploring the Audioquest designs. The Pearl, a basic LGC (long grain copper) USB cable was implemented from computer to DAC. Compared to the generic USB cable, the Pearl provided a modest but noticeable step up in clarity to the music files. The Forest, with its mere 0.5% silver over copper was easy to distinguish from the sound of the Pearl USB. A distinct and greater clarity came upon first listen, and continued use proved it more detailed indeed. A layer of background vocals was now more apparent. Moving past the Forest, one encounters the Cinnamon USB. At 1.25% silver over copper, this is still in the range of affordable USB cables (ok, for music lovers). The Cinnamon is yet again, more resolute. Not just more resolute, but better controlled and more balanced than the Forest. Next up, the AQ Carbon USB employs a whopping 5% silver over copper. This is also where Audioquest begins adding a 3 layer noise-dissipation system around the USB cable. If the Cinnamon was better balanced, the Carbon adds a more relaxed presentation – possibly due to less noise riding on the conductors. The Carbon also provided a greater sense of depth. The last two USB cables in the Audioquest line include a 72v DBS (Dielectric Bias System). First up is the 10% silver over copper Coffee USB cable. After noticing the obvious clarity, balance, and extreme quietness (no background hash), another characteristic to the stereo field becomes apparent. Stereo height and depth information becomes easily distinguished. The arc of sound in the stereo field becomes less congested. Low, Middle, and High frequencies have a specific horizontal plain they reside in. Using the Lipinski Speaker system with subs (in addition to my 2way speakers) made this very obvious. What comes after 10% silver, well 100% PSS (Perfect Surface Silver) of course. The Diamond USB is the most expensive offering from Audioquest. This USB cable spotlights ultra clear transmission while still being hash-free. Like Coffee USB, the Diamond possesses quiet backgrounds, great dimensionality, and rendering distortion free audio signals. Where it differs in sonic presentation is in the stereo height or arc. Compared to Coffee USB, I found the Diamond to create even greater distinctions between low, middle, and high frequencies. Specifically, center vocals were presented physically higher above the speaker than with the Coffee. While some stereo system might benefit from the Diamond, we found the Coffee USB to have the best overall balance in our systems. To test out the Audioquest AES/EBU cables, I used my trusty Yellowtec PUC2. The PUC2 is a USB to AES converter. This allowed me to listen with basic Canare AES/EBU cables and compare them to the Audioquest designs. Note: I used the same AQ USB cable as AES/EBU cable being tested, for the Canare AES/EBU I used a generic USB cable to connect the PUC2 to computer. 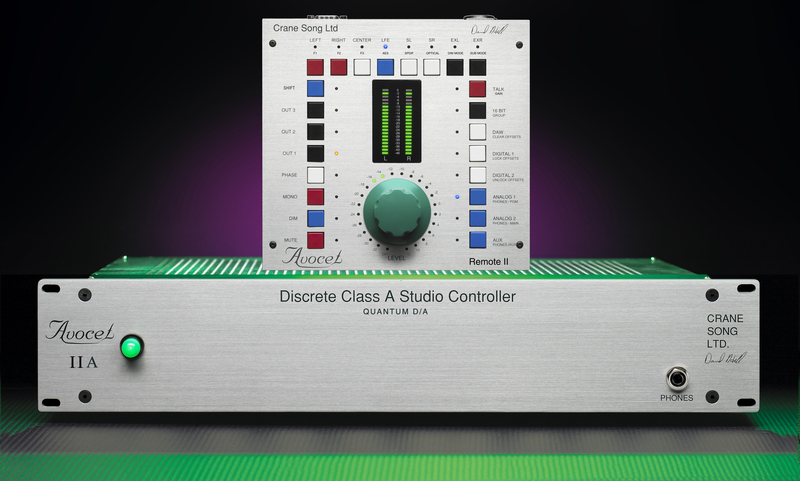 Canare AES and the AQ Coffee/Diamond were compared using the Crane Song Avocet (with Quantum DAC update). Starting with the Canare AES cable, I connected the the AES out of the PUC2 to my Crane Song Avocet DAC. From the the Crane Song Avocet, I went into Lipinski Sound speakers with amps. Using the same track (Paul Simon, Proof), I began listening. After familiarizing myself with the sound, I quickly swapped the Canare AES/EBU for the AQ Coffee AES/EBU. I was stunned by the differences, and so was my colleague (a seasoned mastering engineer). Just as I heard when using the Coffee USB, the AES cable provided a clarity and distinction to the many layered tracks of this Paul Simon mix. Bass was tighter, better defined, more robust. Middle and high frequencies also benefited from greater clarity while still being balanced yet distinct. The stereo arc allowed height information to be easily perceived and not exaggerated. Swapping back the Canare AES cable made it apparent that the sound was now congested, or squeezed sounding. When replacing the Coffee AES/EBU for the 100% Perfect Surface Silver Diamond, the height information became even more distinct. That arc (in the stereo field) I spoke of earlier was even more pronounced than on the Coffee AES/EBU. Extreme clarity and low background noise was obvious, but Paul Simon’s voice appears to be physically higher in the center image. When testing this AES/EBU cable in my home system I noticed the same phenomena. The Audioquest USB and AES/EBU cables offered a clear improvement that was easily heard. While the Carbon and Coffee were my favorite designs, even the entry level USB cables from AQ provided a clear balanced presentation without any harshness. 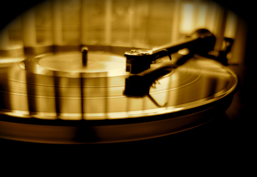 Digital Music News reports that a new technology has been developed to produce higher fidelity sound on vinyl records. Confirmed through a European patent filing, this new technology uses a combination of 3D based topographical mapping and laser inscription technology. Read the full press release here.